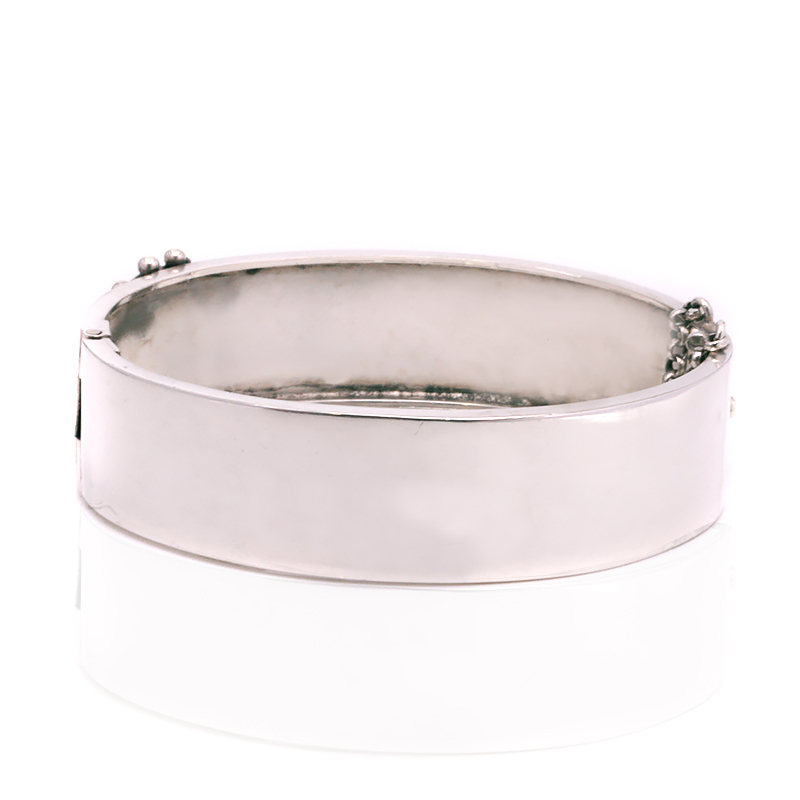 Product code: ES7231 Categories: Antique, Antique Bangle, Silver & Silver Plate. Perfect for any occasion, this antique sterling silver buckle designed bangle from the Victorian era will always stand out and be admired thanks to its wonderful design combined with exquisite hand engraving. 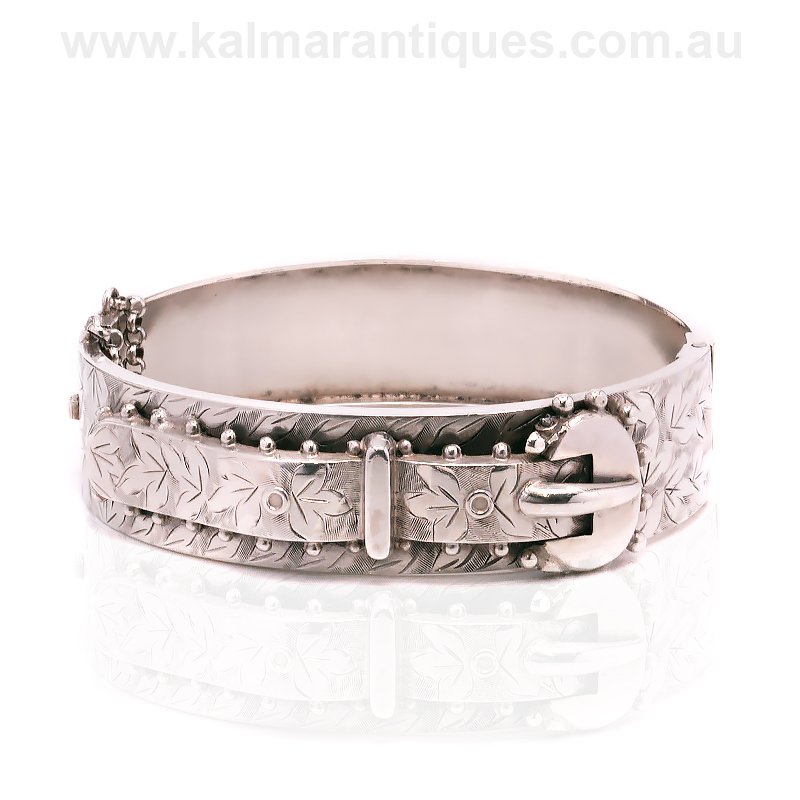 Made in the late 1800’s, this hinged bangle will sit nice and close to the wrist and measures 15.9mm wide and has an internal diameter of 5.7cm. Fitted with a safety chain for added security, this bangle will look good no matter the time of day or night that it is being worn. Hand engraving always shows as far more superior to machine engraving, and the amount of time that would have been needed to engrave this would have been immense. With such a sculptured and tactile feel to it, this is a wonderful example of a genuine antique bangle that looks as beautiful today as when it was made all those years ago.